Happy National Sibling Day! 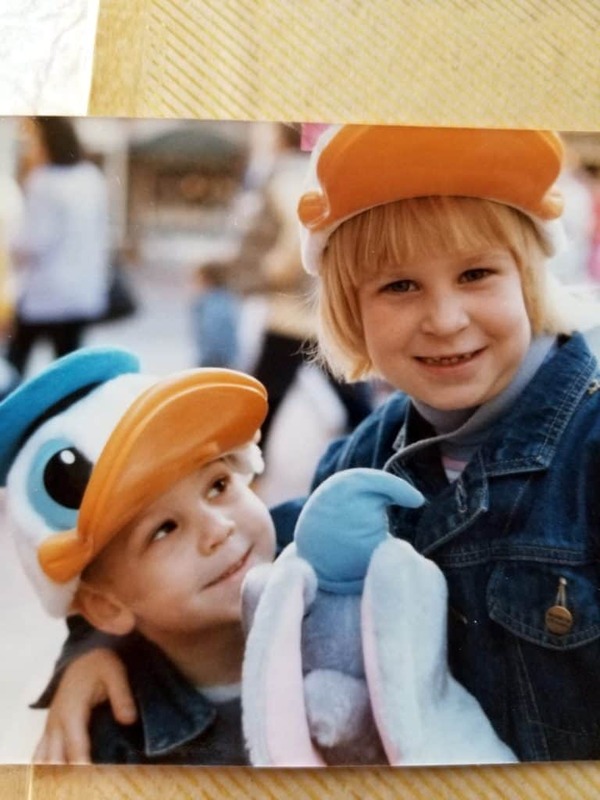 My brother and I were at Disneyland in this photo (the hats make sense now, don’t they?). That’s also a Dumbo bag between us. We were both so incredibly excited to be on that trip to Disneyland. He’s pretty great and I’m so grateful that he’s my brother. I can’t imagine growing up without him – we had so much fun together back in the day, camping in the backyard, playing at the park, walking to and from school together. I designed this one to be a full body workout to be done at the gym. It uses a few pieces of equipment that people aren’t going to have in their home gym, like the row machine and leg press machine. 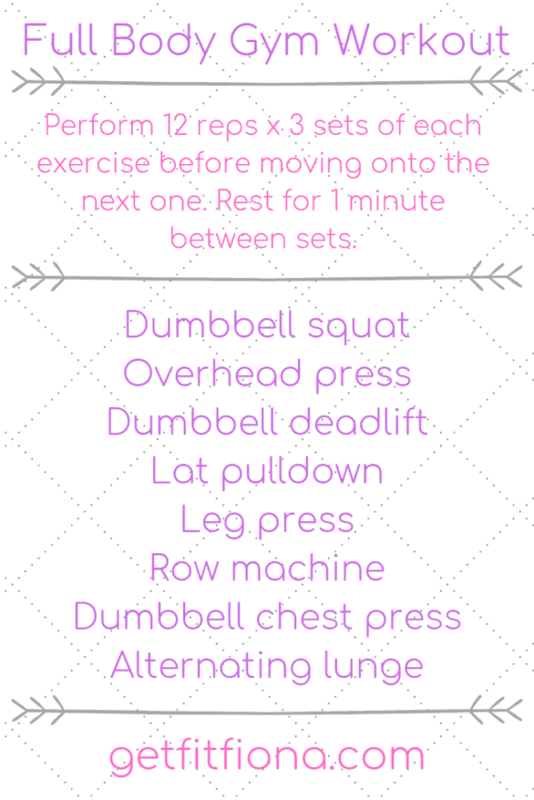 You’ll do each exercise for 12 reps and 3 sets and then move onto the next exercise on the list. Rest for 1 minute between sets to give yourself and your muscles a bit of a break. Not looking for a gym workout? Take a look at my workouts page to find one that you can do at home. I have all the workouts categorized there, so it’s easy to find exactly what you’re looking for. Sitting at a lat pulldown, adjust the leg pads to make sure it’s at the appropriate height. Stand up to grasp the bar with both hands and then sit back down, sliding your legs under the leg pads. Start with your arms fully extended and leaning back just slightly. Bring your hands down to your collar bone slowly and then entend them back out to the starting position. Sit down in the leg press machine. Place your feet hip width’s apart so that your knees are over top of your toes. Release the safety and push your feet away from your body using your glutes and quads. Once your legs are fully extended, slowly bring your feet back towards yourself, once again using your leg muscles to stay in control of the speed. Repeat. At the end of the set rest the platform on the safety again. With a dumbbell in each hand, lay down on a bench or the floor. Your upper arm should be at a 90 degree angle to your torso and your hands directly over your elbows. Move the dumbbells up while they come above your chest. With control move them back down to the starting position. Stand with feet hip width apart. Step forward with one foot so that the forward leg’s thigh is parallel to the ground, and the back leg’s shin is parallel to the ground. The back knee shouldn’t touch the floor. Use your quads and glutes to step the front foot back towards your back foot and end by standing straight up with feet hip width apart again. For the second lunge step forward with the other foot. Lunging with both the left and right feet counts as one rep.
What’s your favorite piece of equipment to use at the gym? As always, talk to your doctor before beginning to workout. Honor your body and modify this workout as needed for you.